The Sunken Garden: The site of the original limestone quarry before it was converted into this beautiful garden. 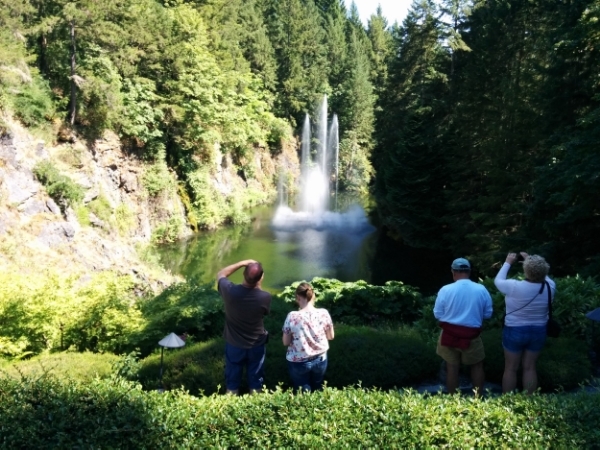 Originally a limestone quarry at the turn of the 20th century, the Butchart Gardens started their storied history when the quarry had exhausted its resources. The start of the transformation was the enterprise of the wife of the owner of the quarry, Mrs. Jennie Butchart. She had a vision for the unused land based on her own passion for gardening. Over time a Japanese Garden, an Italian Garden the present Rose Garden were all added between 1906 and 1929. 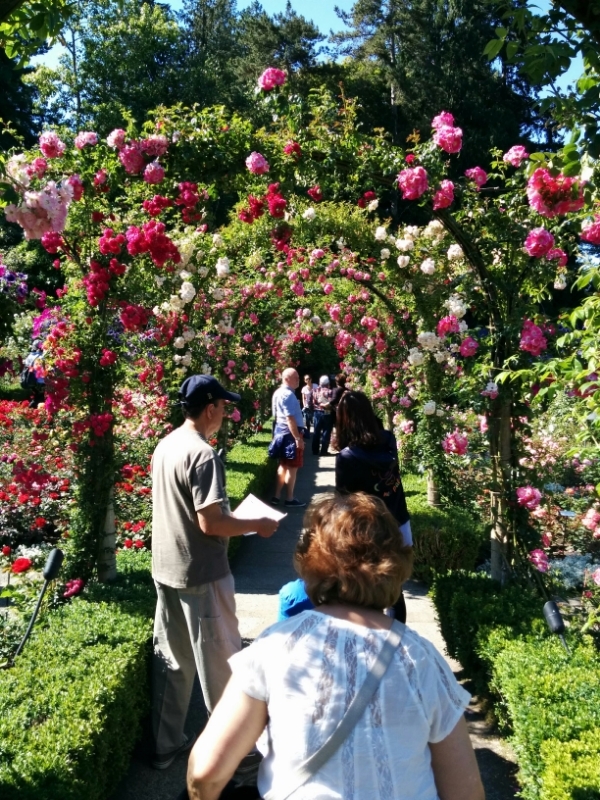 The mantle of custodian was passed on to her grandson Ian Ross who completed the transformation into the internationally renowned gardens you see today. During his tenure, Ross introduced live music as one of the attractions at the park including a symphony orchestra and opera performers. Ross was also responsible for starting the very popular seasonal Christmas theme at the gardens which continue to this day. Highlights of the gardens include more unusual additions such as the Rose Carousel in the Children's Pavillion. This full-sized carousel was built using traditional artists who carved the ride animals over a period of several months each. Another fascinating addition in the Mediterranean Garden is a large bronze statue of a boar. Named Tacca, the boar has a twin in Florence Italy near the main marketplace. And like his twin the thousands of visitors to Butchart have affectionately rubbed his snout for good luck polishing his nose to a golden gleam.